The Royal Shortcut to God: Love All, Serve All! We are accustomed to instant and easy ways to accomplish our goals. Fortunately, Baba has shown us two shortcuts that truly work: selfless service and constant chanting of God’s Divine Name. Saints and religious leaders in all parts of the world perform intense prayers to please God and once they achieve self realization, many return to the world to serve others selflessly. Aren’t we fortunate that Baba has put us on the path of selfless service from the very beginning itself? Serving God that is present in every man is a sure way to please God, as He is easily pleased with selfless service. Once, there was a devotee of Lord Vitthal. He had performed intense prayers and had gained the ability to converse with Lord Vitthal at will. The Lord would appear to His child instantly, whenever He was called. 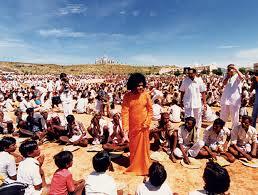 Once, it so happened that a big saint was visiting the village where this devotee resided. The saint was famous for his magnificent powers and was said to have achieved the highest stage of self realization. A huge assembly had gathered in his presence. The saint had a queer method to evaluate his followers. He would take a small hammer and knock it lightly on the head of individual followers (as if checking a coconut). After doing so, he would declare “ripe” or “unripe” depending on the individual’s spiritual progress. When he tested the devotee of Lord Vitthal, he proclaimed “UNRIPE!” in a thunderous voice. The latter was shocked and ran to his prayer shrine, where the Lord appeared to his devotee instantly. When the devotee questioned to the Lord, Vitthal said that He agreed with the saint’s assessment. Now, the devotee was shocked. After intense prayers, he had obtained the vision of the Lord. What more was left to be achieved? The Lord then directed him on the right path and he understood that the highest state is one where the individual recognizes his unity with God and the entire creation (all beings). Now, he started practicing his new-found knowledge and progressed very rapidly. After some time, it so occurred that the devotee was called to participate in a conference of sages. While the meeting was progressing, an old and sick dog arrived there and snatched a piece of bread that was to be offered to the deity. Instantly, everyone understood that he was RIPE beyond description. 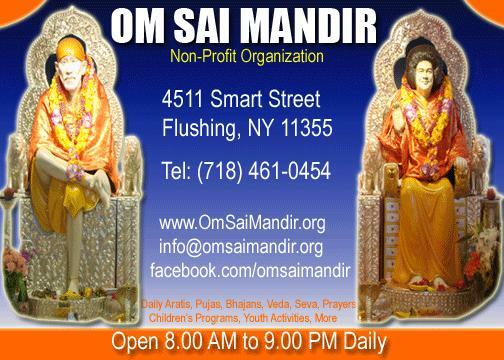 This entry was posted in Devotees Experiences, Editor, Parthi Sai, Shirdi Sai on September 2, 2015 by omsaimandir.